Hampshire boiler installation specialists, RoJo are a home improvement company that specialise in installing gas products, kitchens, bathrooms and much more. These days the garden is an extension of the house, and outdoor living is very much the vogue. Good food, conversation, ambient lighting and warmth bring Mediterranean evenings to the comfort of your own patio. 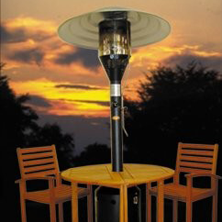 The exciting and innovative collections of heaters, lighting and barbeques that are available from many different outlets can help you achieve just that. 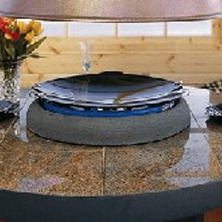 Extend the al fresco dining season with a powerful patio heater hooked up to a permanent gas leisure point. Practical and stunning, the modern designs of the barbeque make them both effective for food preparation and visually acceptable when not in use. 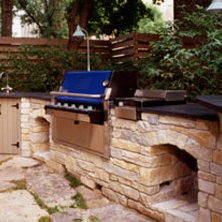 From the very latest built in 'outdoor kitchen' to gas barbeques that can be put away when not in use, your outdoor entertaining can be transformed by the installation of an outdoor gas point that will put an end to your gas bottles running out just when you need them! The addition of outdoor sockets for beer fridges, music and ambient lighting will complete the transformation of your outdoor space. 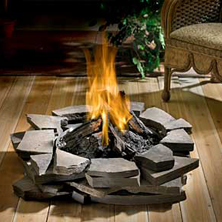 If you wish to discuss the installation of gas and/or electric points in your garden, contact RoJo today.